LeRoy David Walker, age 83, died Sunday, March 17, 2019 at an Oklahoma City hospital after a long illness. He was born August 12, 1935 in Niles, Michigan to Clayton Gale and Gertrude Elizabeth (Hibberd) Walker and grew up in Niles. He was a graduate of Niles High School and attended OSU OKC. He was a 36 year plus employee of Western Electric-AT&T, retiring from Lucent in April of 2000. He was a Baptist. LeRoy was preceded in death by his parents and is survived by his wife Rhonda of the home in Mustang, one son Donald Bret Walker and wife Kathy of Cypress, TX, three grandchildren and two great grandchildren. Also, by one brother Clayton H. Walker and wife Margaret of Niles, Michigan and one sister Edytha Bowerman of Berrien Springs, Michigan. Also by many nieces and nephews in Oklahoma and Michigan. 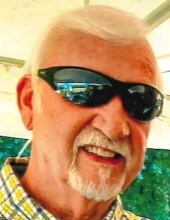 LeRoy was an avid Michigan sports fan, He loved cheering on MI Wolverines, Detroit Tigers, Pistons and the Lions. Memorial services will be held at a date to be announced in Mustang in August and at his home state of Michigan later this year. Services are under the direction of McNeil’s Funeral Service, Mustang, Oklahoma. To send flowers or a remembrance gift to the family of LeRoy David Walker, please visit our Tribute Store. "Email Address" would like to share the life celebration of LeRoy David Walker. Click on the "link" to go to share a favorite memory or leave a condolence message for the family.